Wet dog, funky socks, musty books and the ever-present smell of teenage boys is more than a home needs sometimes. Houseplants get a lot of lip service for their air-cleaning properties, but let’s face it: sometimes a home needs something more than just a gentle purifying. Febreeze is just another spray that masks odor. Besides, what’s really in all those bottles and are they toxic or not? Naturally, a living plant in the house is healthiest, and it’s pleasant, too. Fragrant houseplants are more comfortable than you think and grow in the same conditions as unscented plants. It’s time to switch out those artificial air fresheners for the soul-satisfying natural fragrance of these top picks. Gardenia. The intense fragrance of gardenia may elicit strong emotions about this unique flower. If you fall into the “love it” gardenia fragrance category, find a place in your home with four hours of bright sunlight each day or more; a south- or east-facing window is ideal. Keeping humidity levels high around your gardenia will help the glossy dark green foliage stay healthy, which is key to blossom production. Gardenias also prefer cool nighttime temps, between 50 and 60 degrees, so an Arizona room or back bedroom is a perfect location. Citrus. A dwarf citrus tree is just what the doctor ordered to chase away winter blues with its naturally sweet blossom followed by vitamin-rich fruit. Choose your favorite dwarf variety and watch it grow, to a very manageable height (around as tall as an average person). Citrus like the direct light of a south-facing window, so you may have to change your light fixtures to a full spectrum daylight bulb in darker rooms. Roll them outdoors during the growing season and watch them really thrive. Jasmine. Whether trained on a ring, like a topiary, trailing from a basket, or scrambling up a small trellis, the fragrance of jasmine is utter intoxication. Water your jasmine moderately, and provide as much light as possible. Again, a full spectrum light source may be necessary if you don’t have a spot with six hours of sun. To trigger blooms in subsequent seasons, cool evening temperatures. When you see dozens of pink buds form in the autumn, you’ll know sweeter days are ahead. Orchid. Some orchids have more to offer than exotic beauty and long-lasting blooms. Several species are highly fragrant, with the “Sharry Baby” orchid even said to emit a chocolate fragrance. Several others emit sweetness, including the “Twinkle” and the “Hawaiian Sunset.” Another easy-to-grow orchid that has a strong perfume is the Brassavola nodosa, which is especially sweet in the evening. Other orchids have little or no fragrance, so it’s best to purchase your orchid in bloom and give it the sniff test. Most people agree that orchid scents are most noticeable in humid conditions, which complement their growing environment. Scented Geranium. Although the foliage of the scented geranium does not emit a detectable fragrance unless the leaves are brushed, bruised or crushed, the resulting aroma is so sublime that you’ll find excuses to touch this plant all the more. There’s an added benefit in that the leaves of scented geranium are edible. People often put their volatile oils in flavored sugars, bread, and pastries. Choose from scents like apricot, ginger, nutmeg, pineapple, rose, and mint chocolate chip. Keep a few scented geraniums in the kitchen to give yourself an aromatherapy treatment each day. Geraniums grow well outside when the risk of frost has passed. Paperwhites. 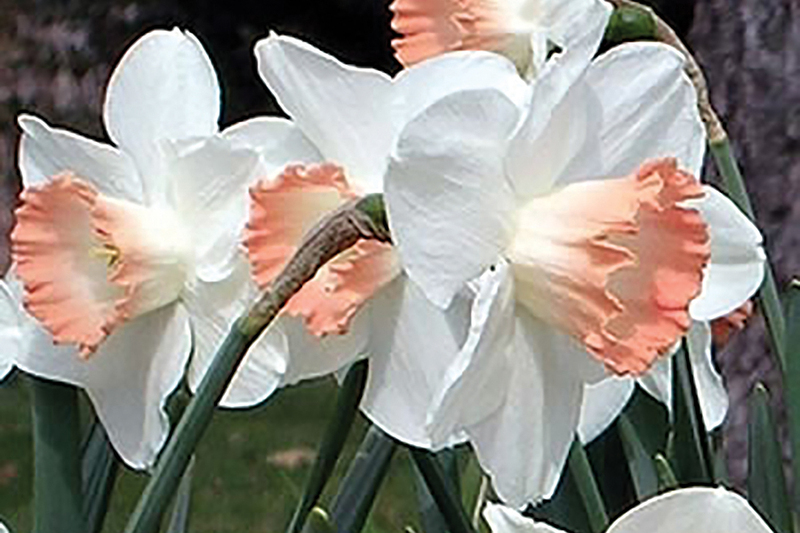 This daffodil, which grows indoors, could not be easier to cultivate, even for beginners. You don’t need soil to produce a paperwhite bulb. Position the bulb in the neck of a growing vase, held above water, and blooms will appear about six weeks after planting. After the blooms fade, paperwhites seldom bloom again, so don’t feel guilty about adding them to the compost bin. Or, try adding them to your outside flower gardens. Bridal Wreath (Stephanotis). Due to its delicate blossoms, this bloom is most fragrant when enjoyed on the plant. Besides, the plant is super easy to grow, needing only a bit of light and moderate water. Bridal Wreath can have a vining habit in the more shaded parts of the house, so give it some support to bring those fragrant flowers close to nose height. Lavender. All herbs have unique scents that contribute to their culinary and medicinal value, but lavender is in a class unto itself when it comes to fragrance. The spicy, clean scent of lavender infuses our favorite scented products from soaps to perfumes and candles. Best of all, the aroma is just as strong in the foliage as it is in the flowers, so sparse flowering won’t deprive you of their wonderful perfume. Grow French lavender as a houseplant. It flowers continuously in bright light and makes dreamy sachets for your dresser. All lavender plants prefer sandy soil and moderate to dry irrigation. There you have my top choices for fragrant plants in your home. Scratch, sniff and enjoy each in their own right. Watters Garden Center has stocked full of these and more fragrant choices, and I certainly enjoy helping local gardeners choose just the right plants for each room in their home. Checkout the 42 Best Smelling Flowers for your outside as well. Lisa Watters-Lain can be found throughout the week at Watters Garden Center, 1815 W. Iron Springs Rd in Prescott, or contacted through her web site at WattersGardenCenter.com or FB.com/WattersGardenCenter .